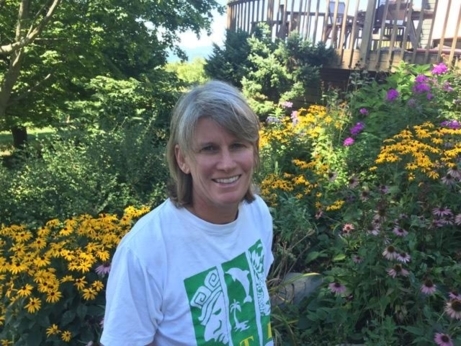 After working in teaching and research on the environment and energy for 16 years in the UK, Suzy Hodgson moved back to the US to continue working on these issues at the University of Vermont (UVM), as well as in her new home town of Charlotte. Hodgson works with local communities across Vermont as part of the UVM Extension Program, helping farmers adapt to climate change. But she also uses her experience to contribute to her own community. “I think Vermont has done a great job with energy, leading by example. We have achievable and strong energy efficiency standards and support, and a high target for renewable energy generation,” says Hodgson. However, when she moved to Charlotte about eight years ago, there was no town structure in place to address the issue of energy on its own. Rather, there was the Charlotte Conservation Commission and Sustainable Living Network, with an Energy Task force. The Conservation Commission had previously worked to install CFL lights in town—and managed to switch out 6000 light bulbs as part of this effort—but the group was mostly focused on conservation and wildlife issues. Hodgson and another member felt that they should form a separate Committee to focus specifically on energy and efficiency. The next step was to hold an open meeting for establishing the Energy Committee—where 50-60 people showed up to be part of the conversation! They discussed the committee’s purpose, drafted a mission statement, and met with the town Select Board to get their committee approved. The proposal received full support. The first project for the committee was to do an energy audit on the town hall to identify inefficiencies in heating and electricity use. The audit used infrared technology and a blower door test to show where the building was losing heat. Significant losses were detected through the acoustic panels of the ceiling, roof area, and knee walls. 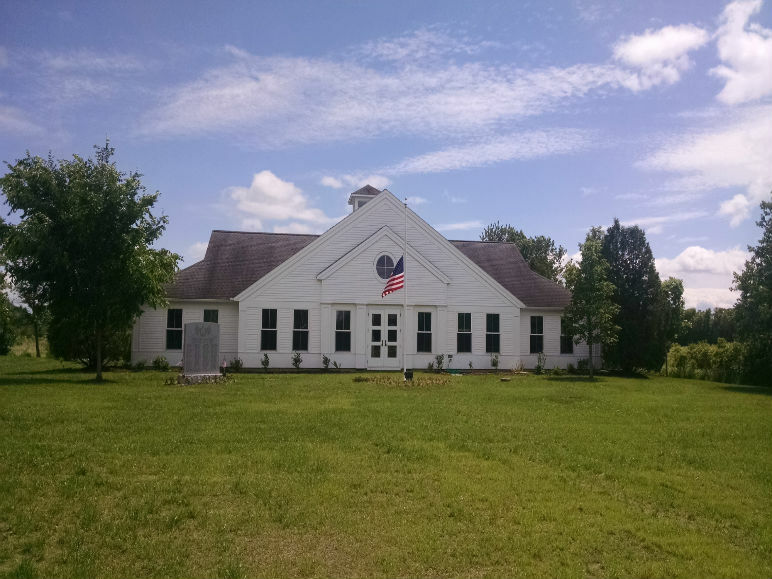 The Committee applied for – and received - funds from American Recovery and Reinvestment Act (ARRA) to cover the costs of improvements for the 4500 square foot building, at a cost of $9.81 per square foot. In addition, Efficiency Vermont provided a $1200 rebate to the town for LED lighting work. After the improvements were finished, a blower door test showed a 38% reduction in air leakage! The improvements translated into an estimated 24% in annual heat energy savings, equal to 500 gallons of oil and 5 tons of carbon dioxide! The Energy Committee did not stop there, of course. After the success of the town hall retrofit, they worked with the town library on ways to improve ongoing renovations. The library, one of the main municipal structures, was already working on replacing their roof, and the Energy Committee advised them on improving the roof insulation. As a result, the library now saves on heating costs and of course, helps reduce the town’s carbon footprint. Recognizing that most of the town buildings are residential, the Energy Committee wanted to demonstrate to Charlotters how to make their homes more energy efficient and sustainable. In 2012, the Energy Committee spearheaded a “Green Homes Open House” (appropriately, on St. Patrick ’s Day). The tour featured homes with high-quality insulation, as well as solar electricity, geo-thermal and hot water heating. The Committee also produced a video on the project. 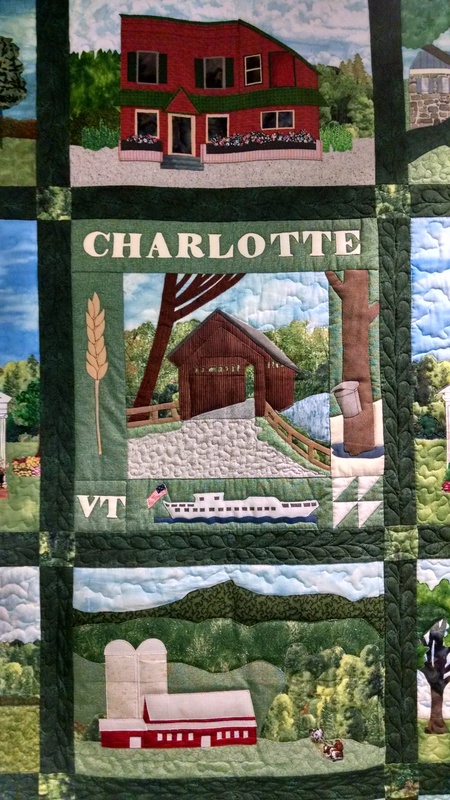 Currently, the Charlotte Energy Committee works with Vermont Energy and Climate Action Network (VECAN) and the Chittenden County Regional Planning Commission to share strategies and successes with other towns and energy committees. Hodgson says that at VECAN’s annual conference (this year to be held on December 3rd, at the Lake Morey in in Fairlee, Vermont) there is always a large contingency of Energy Committee members from all over the state in attendance.